The fixed-income expert, now with Janus, said the firing "blindsided" him. 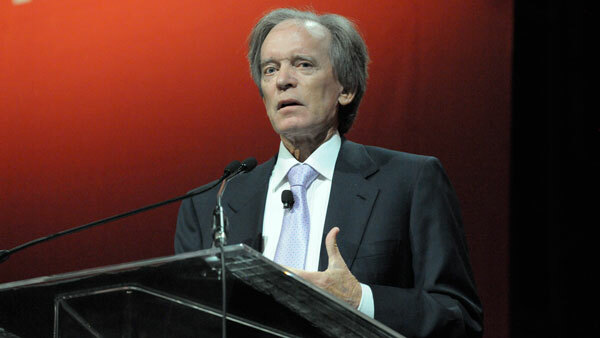 Bill Gross said he was fired from Pacific Investment Management Co., the first time he has publicly stated that he was dismissed from the firm he co-founded in 1971. Gross, speaking in an interview with Bloomberg View’s Barry Ritholtz, said he offered to step down from the executive committee and compensation committee and oversee closed-end funds after differences with management over his personality and business direction. Gross left Newport Beach, California-based PIMCO after deputies including now-group Chief Investment Officer Daniel Ivascyn said they would quit, according to people familiar with the matter. Mark Porterfield, a spokesman for PIMCO, didn’t immediately return an e-mail and telephone message seeking comment. Gross said he visited a neighbor, a retired air force general, after his exit from Pimco. As he was leaving, the retired general said Gross should have visited six months earlier because he could have taught him the first rule of the military. “I said, ‘what’s that?’ and he said: ‘watch your back,’” Gross said.